Everyone is welcome to join Scouting, and Scouts Australia offers adults aged 18 years and over a host of rewarding opportunities to help make a difference in young people’s lives. You’re never too old to join the adventurous life of Scouting, even if you haven’t been involved before. Adult volunteers are the backbone of Scouting, who care about the guidance and development of the young people as well as the community in which they live. Scout Leaders are responsible for helping to devise and deliver programs that support young people in reaching their potential. Child safety is very important to Scouts. Therefore, along with training in child safety, adult members must undergo a standard Police check to ensure the safety of our youth members. 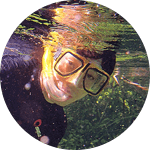 Activity Leaders – Adults who have a certain interest in adventurous activities such as abseiling or water activities have the opportunity to become an Activity Leader. Activity Leaders are responsible for delivering activities, training and support around their specific activity to facilitate a more adventurous Scouting program. Leaders of Adults – are involved in training other adult members of Scouting. Training and development of adult volunteers is compulsory to ensure that our Leaders have the necessary skills and knowledge to lead young people and other adults. While Leaders don’t need any prerequisite skills or knowledge prior to joining, they must be prepared to undertake our Leader Training. 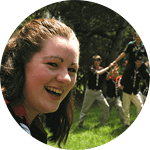 As in most National Scout Organisations, Scouts Australia operates a Wood Badge Training Program as a system for the training and development of all its Adult Leaders. 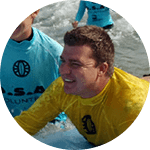 We also operate the Scouts Australia Institute of Training, a registered training organisation, which offers a wide variety of courses in Leadership, Business, Management and Outdoor Recreation. Through this scheme, your Scouting qualifications can be externally accredited, so they are relevant and recognised in the professional world. As an Adult Scout Leader you will need to wear the uniform of Scouts Australia, which is a blue shirt, scarf and belt. You may also be permitted to wear a number of badges you earn such as Leader Recognition Awards, First Aid Badges and the Gold Duke of Edinburgh Award. 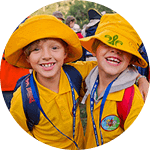 The number one priority for Scouts Australia is Child Safe Scouting. All Leaders are thoroughly screened, undergo the relevant State checks, and must hold a valid, verified Working with Children check. Adult Leaders receive comprehensive, ongoing training across a range of subjects including leadership, WHS, and child protection. At least one person trained in first aid attends all major events. At least two adults are present at all meetings and events. We will liaise with you to ensure we have the information necessary to cater for your child’s individual medical, physical and dietary requirements. 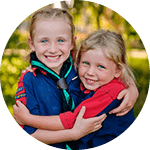 All Scouts Australia Branches have teams of people responsible for child safety who action any concerns that parents or children may have regarding safety. 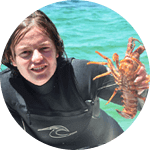 Scouts Australia provides fun youth development activities, building resilient and confident boys and girls aged 5 to 25 in the Joey Scout, Cub Scout, Scout, Venturer Scout and Rover Scout Sections. We also welcome adult volunteer Scout Leaders. Scouts has opportunities for the whole family to be involved. Everyone is welcome, and we value the diversity of our members. Find out more about the Section of Scouting that is best for you here.